March 2018 - All about Cross-Connection and Backflow Prevention — Potomac-Hudson Engineering, Inc.
As Americans, we have come to expect that our drinking water supply will be safe and reliable, and with a few notable exceptions such as the situation in Flint, Michigan, this is a reasonable expectation. Federal, state, and local governments have invested billions of dollars to ensure that water delivered to our homes and workplaces is safe to consume. However, routine systems, equipment, and activities have the potential to contaminate water supplies and water systems. By understanding and implementing cross-connection protection practices, we can help to minimize the risk of contamination to our potable water supplies. Backsiphonage. Backsiphonage is caused by a reduction in system pressure in a potable water distribution system that creates a partial vacuum (subatmospheric pressure) within the water pipes and connections. Water main flushing and firefighting are two examples of practices that can cause a reduction in system pressure leading to backsiphonage. Backpressure. Backpressure is a condition in which the pressure in a nonpotable system is greater than the pressure in a connected potable water distribution system because of a pump, elevation of piping, or steam and/or air pressure. 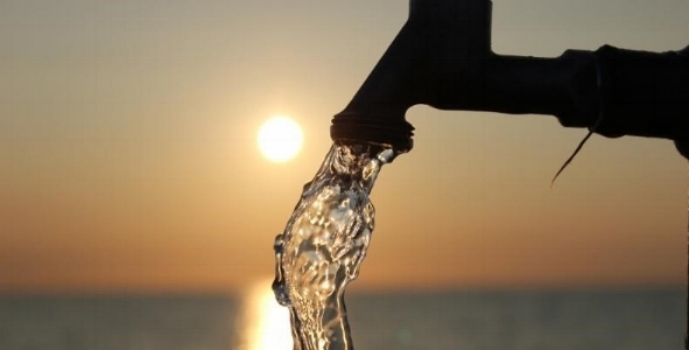 The concept of cross-connection/backflow prevention (CCBFP) originally came about as a result of contamination of drinking water systems caused by ships' pumps forcing contaminated sea water into drinking water systems through backpressure. Under either of the above conditions, backflow can occur if a cross-connection is present between the potable water system and a non-potable system. Direct. A direct cross-connection is subject to both backsiphonage and backpressure. A boiler connected to the potable water system without a backflow preventer is an example of a direct connection. Indirect. An indirect cross-connection is subject to backsiphonage only. A garden hose, without a hose bibb vacuum breaker or similar protection, laying in a pool of water is an example of an indirect cross-connection. Common plumbing hazards that can create cross-connections include boilers, swimming pools, vehicle/aircraft washracks, institutional kitchen and laundry equipment, ice makers, custodial deep sinks with hose attachments, and landscape irrigation systems. This Los Angeles Times article describes a situation in which East Bay Municipal Utility District in Alameda, CA identified water quality issues that were believed to be caused by a cross-connection between the potable water system and a landscape irrigation system. Service Protection. Service protection (also known as contaminant protection) is backflow protection at the service connection or meter. Service protection protects the entire water distribution system from a particular facility. For example, industrial facilities that receive water from a municipal water supplier may have a backflow prevention device at the meter to protect the city or town's water supply from potential contamination from onsite activities. Isolation Protection. Isolation protection (sometimes referred to as internal or post-meter protection) is backflow protection to confine a potential source of contamination within a facility. An example of isolation protection is the installation of one or more backflow prevention devices on water connections to potential hazards, such as boilers or irrigation systems. Unprotected or inadequately protected cross-connection hazards, such as hose bibbs, landscape irrigation systems, etc. Improperly installed backflow prevention devices that are inaccessible for inspection or repair. Backflow prevention devices that are inadequate for a given hazard. Backflow prevention devices that are not tested annually. The number and type of backflow prevention devices installed at a given site will vary considerably based on the type of hazards present and the state or local requirements for protection. City and municipal water suppliers often require annual testing (by a certified tester) of backflow prevention devices at water connections that protect the city or town water supply from a facility with a potential hazard. Failure to do so could result in the facility's water supply being shut off. Some water suppliers require an inventory of all backflow prevention devices at the site (both at the meter and post-meter) be developed and submitted annually along with documentation of annual backflow device testing. One of the most common CCBFP hazards is hoses (used to wash equipment or fill containers) left on the ground or inside containers, buckets, or tanks. This hazard can be easily eliminated through the installation of hose bibb vacuum breakers on all hose bibbs, and deep sink faucets. These devices can be purchased online or at home improvement stores for less than $10. The likelihood of a backflow incident happening is small, but the potential harm to human health, both to individuals and the surrounding communities, could be significant. By being aware of potential cross-connection hazards, you can prevent such incidents from happening. Please feel free to contact Fred Carey, P.E. (301.907.9078 ext. 3003, FredC@phe.com) or John Ribar 619.260.1033 ext. 301, JohnR@phe.com) if you have questions about CCBFP at your facility.